At the highest level, the objective of any company’s recruitment strategy for hourly employees should be relatively simple: make good hires quickly and affordably. However, the challenge comes with measuring success towards achieving this goal. How do you know whether your hires are ‘good’? And how do you know whether or not you could be filling positions more quickly and/or more affordably? Perhaps you’re satisfied with the cost and speed of your recruiting process. But how do you know it can’t be better? And if you’re not satisfied with your recruiting efforts, how do you go about making improvements? 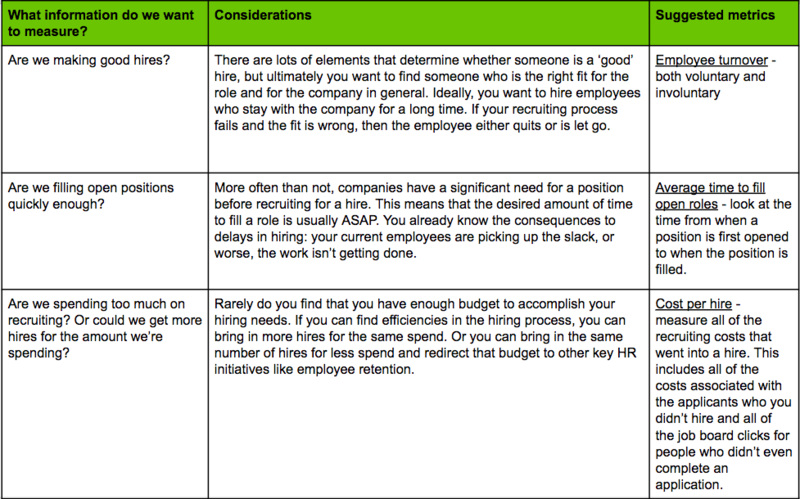 The answers lie in having a data-driven recruitment strategy. If you can establish metrics for success and implement the right processes to measure your performance against those metrics, you’ll be armed with the information you need to start making improvements. The right metrics will differ from business to business, but the first step is to determine what’s important to measure. Of course, identifying metrics like the ones above is just the first step in your data-driven recruitment strategy. Next you need to make sure that you can consistently measure these metrics. If you can’t perfectly measure every metric, then you’ll need to determine where you might make estimates. While it’s ideal that you get the ‘right’ numbers for your metrics, keep in mind it may not always be possible. What’s more important is that you start recording these metrics in a consistent way. That’s going to highlight trends for you, which is going to provide the information you need to take action. Once you’ve established some top-level metrics like the ones above and you’ve measured results for a couple of months, you’ll start to discover where you’re doing well and where you’re falling short of your goals. For example, you might find that a large number of your employees in a certain location are leaving within their first few weeks. Or perhaps you’re finding that the cost to fill certain roles is twice as much as others. Initially, it might be discouraging to uncover areas where your recruitment strategy isn’t working, but now that you have information based on solid data, you can start to take action! The next step is to form hypotheses about what might be causing the problem. In the first example of an unacceptable amount of employee turnover, perhaps the job description is misleading in a way that results in a misalignment between employees’ expectations and what the role actually entails. Or maybe a competitor has opened a nearby facility, generating a large amount of well paying jobs. When it comes to forming hypotheses like these, there’s no right or wrong answer – you are just considering possible causes of your problem. The more hypotheses you put forth, the more likely you are to get to the real root cause(s). So don’t do this in a vacuum – ask around and get opinions from people throughout the organization. Once you have a good list, then you can go about disproving those that are wrong and validating those that are right. So how do you figure out what’s really going on? That’s right… gather more data! There are a lot of ways to do this. In the above example, you could put together a brief exit interview to determine why people are leaving, or you could survey current employees to determine if there’s an addressable employee dissatisfaction that becomes evident. 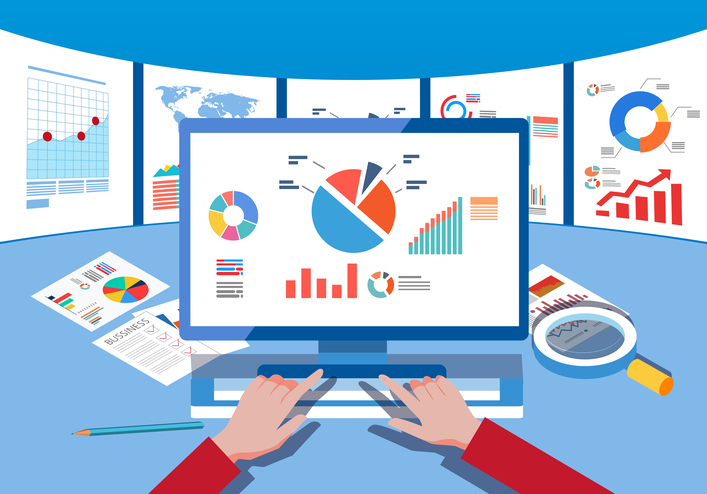 The idea of implementing a data-driven recruitment strategy may seem daunting, but you don’t need to be a data scientist in order start making improvements in your process. Just start at the highest level and be thoughtful about the metrics that are going to give you the information you need. At the beginning, you’ll probably find that some of those metrics aren’t providing the information you hoped for, or you may find that some are too challenging to gather data consistently. That’s ok – you just need to be committed to constantly performing iterations of your metrics, the way you measure them, and the way you address problems they uncover. You’re almost certainly not going to get it right the first time and just when you do get it right, the circumstances of your hiring environment will probably change – causing the need to pivot again. A little work upfront to identify and understand your metrics will go a long way towards creating a data-driven recruitment strategy that will save your organization both time and money in the long run. Need help? At Jobalign, everything we do is based on data. From the tools we build for improving our customers’ hourly hiring strategy, to the reporting we generate, it’s all about data driven decision making. We have the tools that can help you start making improvements in your hourly recruitment process today. It’s all in the data…!